Small size bbq. Comes with pretty full propane tank and a new cover. 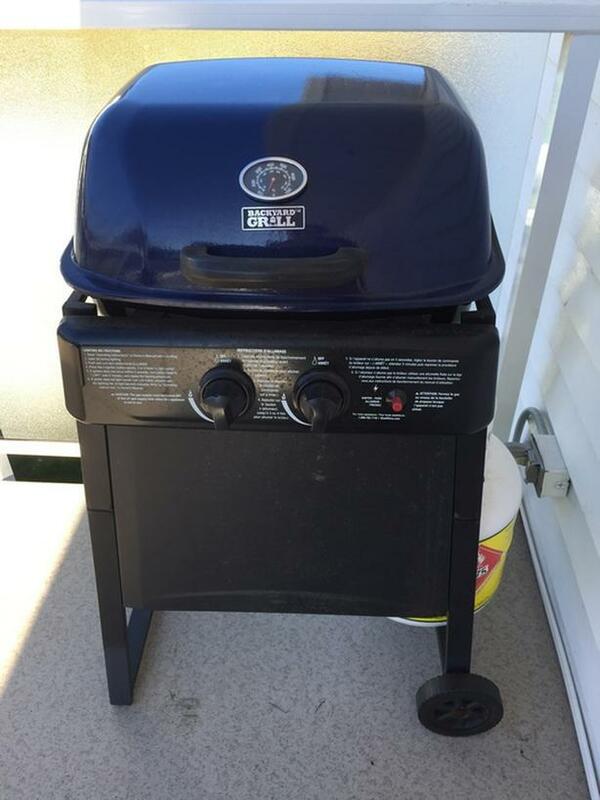 The grill is not a Weber but their cover fits it perfectly. I will also throw in a set of new BBQ cooking tools. I have reduced the price so this is firm.